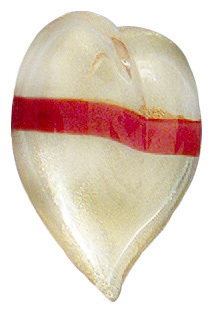 Murano glass heart paperweight with 18kt gold foil and a bright band of red. Hollow center, approximately 3 inches in length. Artisan crafed glass from Murano, Italy.